Japandi is a term coined to describe a hybrid between Japanese and Scandinavian influences: a little rustic, but also effortlessly elegant, without being too grand. Scion has named its latest collection after this fusion of styles, launching fabrics and wallpapers that are playful yet charismatic. They celebrate the Japanese wabi-sabi approach to having things ‘perfectly imperfect’, with accentuated brush marks, ikats and embroideries playing up to this sentiment. 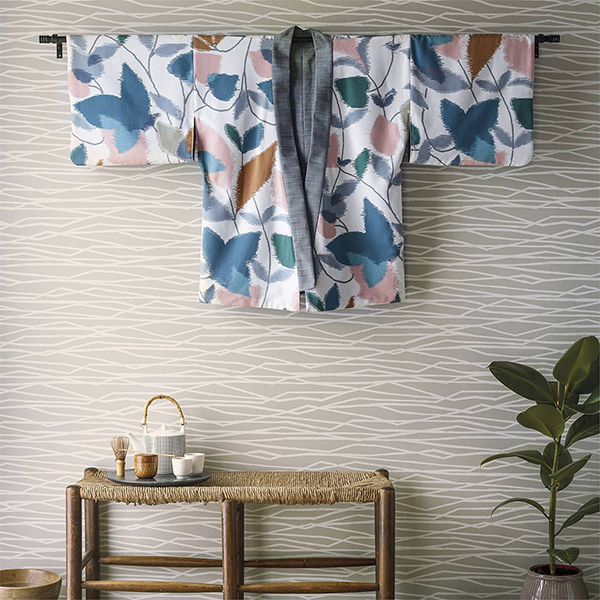 Pictured is ‘Akira’ fabric, based on an archive kimono, which has a diffused design of trailing flowers and leaves; and ‘Genki’ wallcovering, both available from Style Library.